Prime Minister Narendra Modi, on Tuesday replied to his friend Barack Obama and said “religious intolerance is a global concern”. 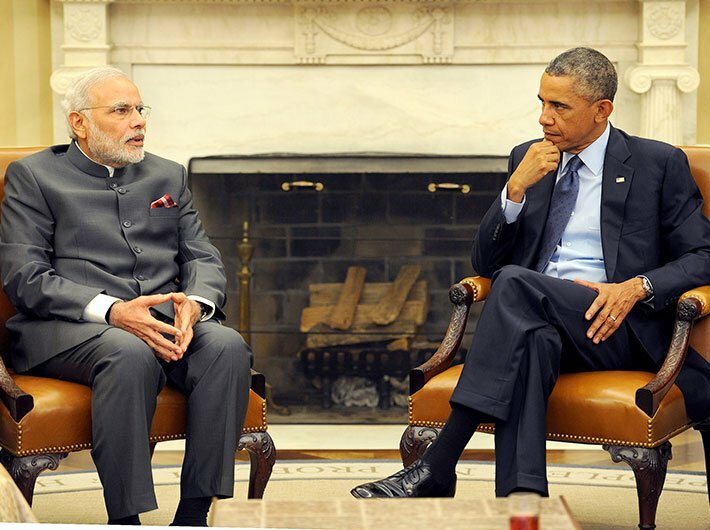 US president Obama's had recently remarked on growing religious intolerance in India. “The ancient Indian plea of mutual respect for all faiths is now beginning to manifest in global discourse,” the PM added. “Everyone has the undeniable right to retain or adopt the religion of his or her choice without coercion or undue influence. Government will not allow any religious group, belonging to majority or minority to incite hatred against others overtly or covertly,” he said. “As Swami Vivekananda said - We believe not only in universal toleration but we accept all religions as true,” Modi said, adding that what the great saint said a century ago stands true even today. “I appeal to all religious groups to act with mutual respect as has been the tradition of India,” he added.